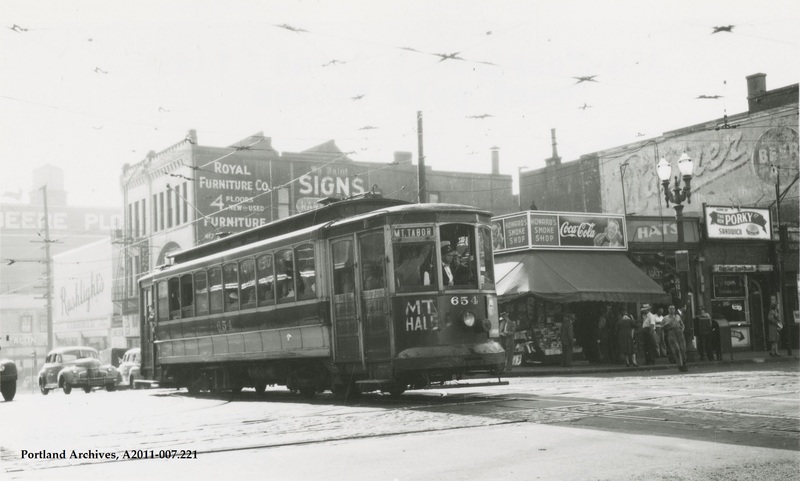 Sunnyside car 419 on SE Grand Avenue near SE Washington Street, 1946. City of Portland (OR) Archives, A2011-007.265. 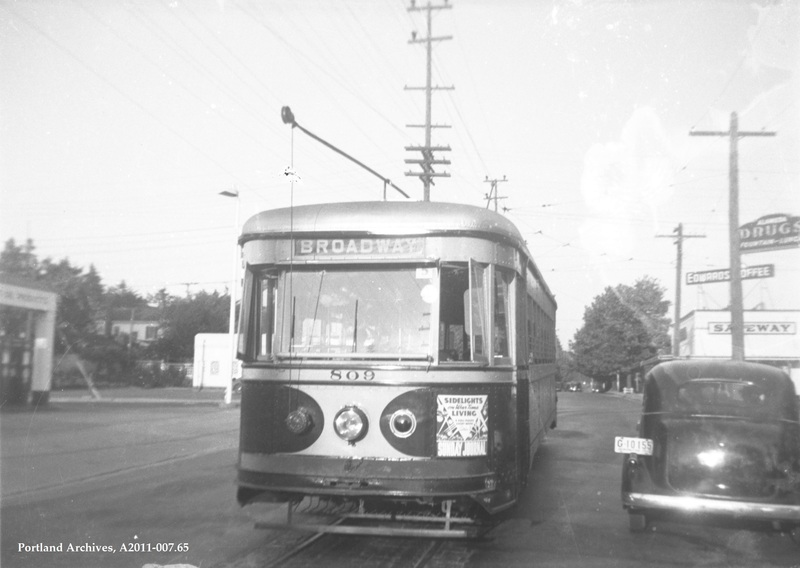 Bridge Transfer line streetcar 434 and Montavilla line street car 472, circa 1946. Can anyone identify this corner? 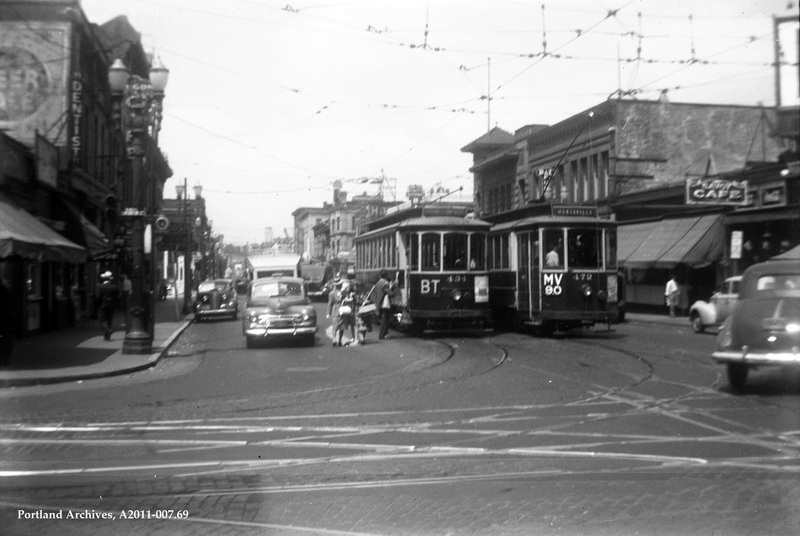 City of Portland (OR) Archives, A2011-007.64. 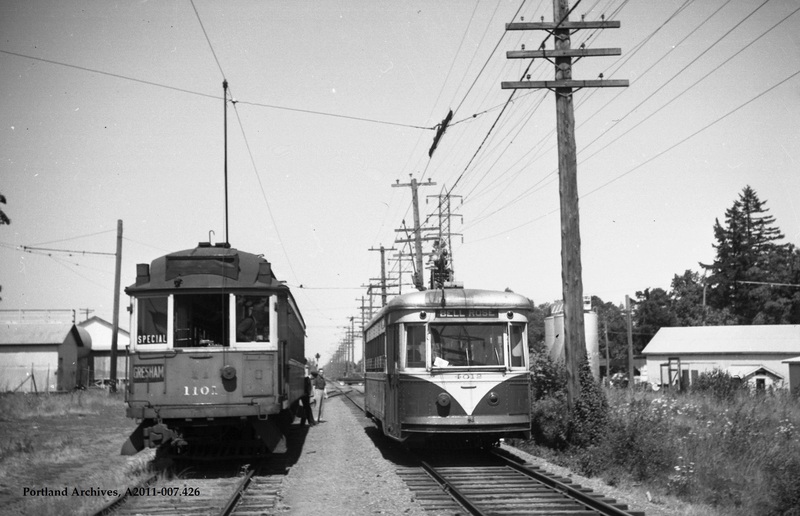 Interurban car 1102 to Gresham and car 4012 to Bell Rose on the Springwater line, circa 1949. City of Portland (OR) Archives, A2011-007.426. 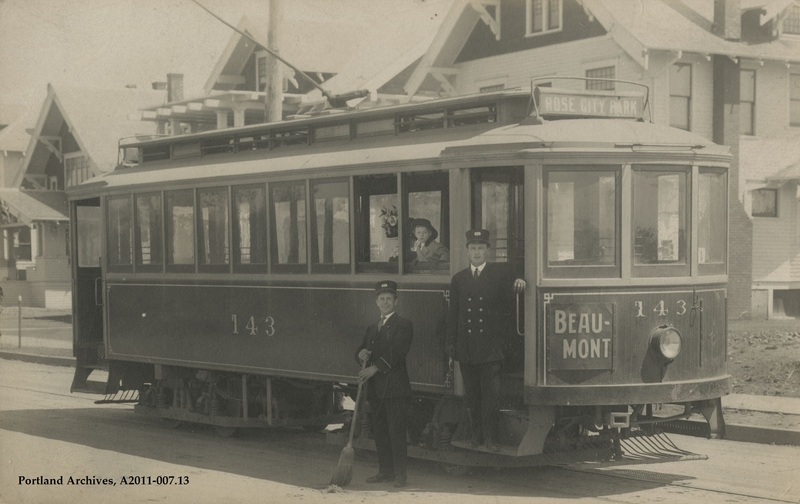 The Portland Rail Light & Power Company Rose City car 143, circa 1914. 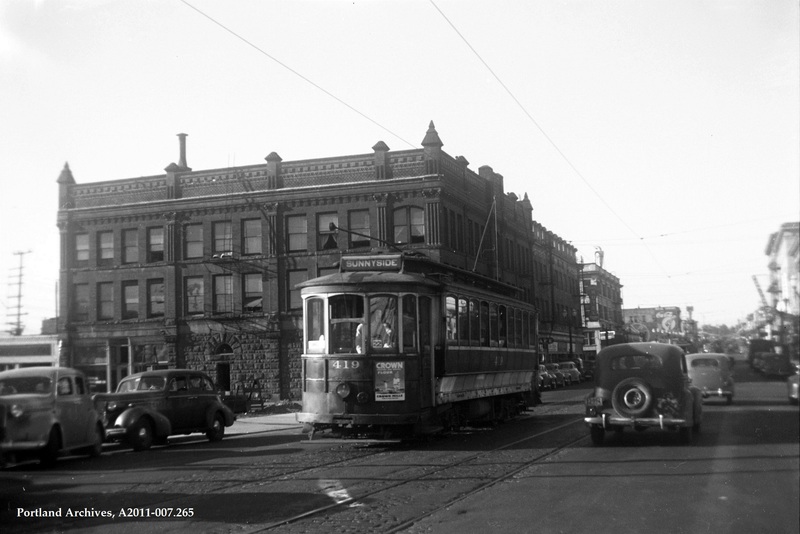 City of Portland (OR) Archives, A2011-007.13. 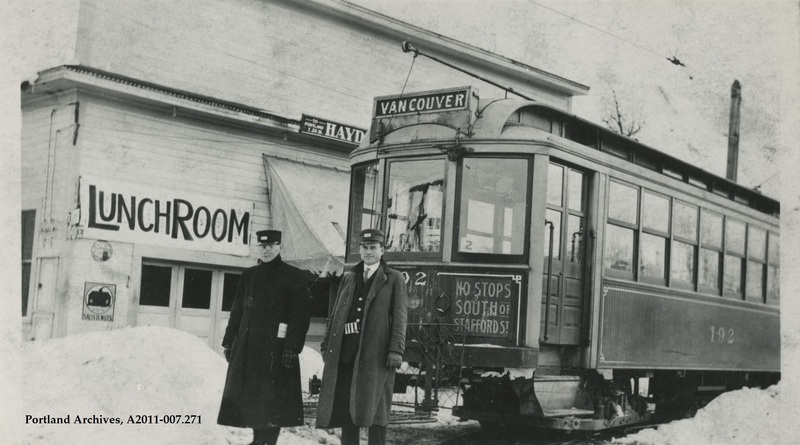 Two streetcar employees posing in front of the Vancouver car 192, circa 1915. City of Portland (OR) Archives, A2011-007.271.